Knowing in the world for beautiful landscape & rich cultural tradition, Vietnam now turns into a famous destination for international tourism market. Golfing in Vietnam is growing and more and more international standard golf courses is built here with the uniqueness & magnificent landscape , however, many of these courses are still outreach of foreign golfers and for this reason the Vietnam Golf Tourism is established in 2013. 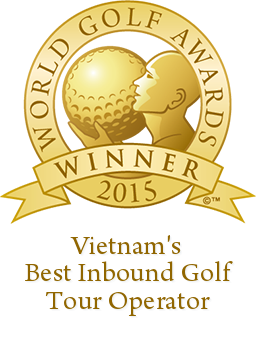 Vietnam Golf Tourism is a website dedicated to golf and golf tourism in Vietnam. It was designed to introduce the attractiveness & beautifulness of Vietnam golf courses as well as general information on events & news about golf tourism in Vietnam. 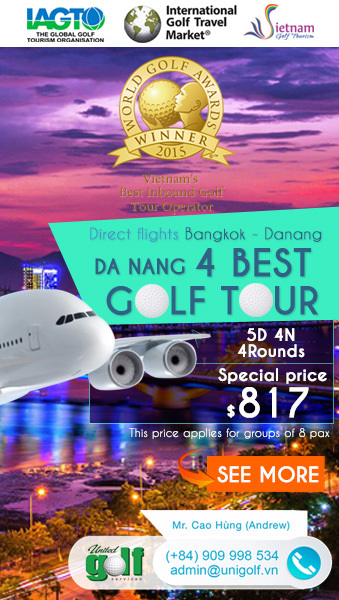 Beside information on golf, golf tour in Vietnam is also promoted on this website to give the golfers easier to plan their trip to Vietnam – The Golf Destination of the Year 2016 ASIA – AUSTRALIA, a prestigious award given by the most well-known International Association Golf Tour Operators (IAGTO). This website was created and operated by United Golf Services (UniGolf) – the leading company in Vietnam in the field of supplying professional golf services including Vietnam golf tours. “Always for customers” is the target that both UniGolf & Vietnam Golf Tourism always strive toward when working with each customer, from single golfers to big business association need to organize a golf event in Vietnam. We work with the top golf resorts, branded hotels and all current golf courses in Vietnam to ensure the price & quality of the products worth every penny you spend on your golf holiday to Vietnam. Every detail in your tour is taken care of by our well-trained and knowledgeable staffs to fit our motto “Just Play, We Handle The Rest”. So give us a try and your next golf holiday in Vietnam will be a worth of money yet memorable when choosing us as your golf tour operator in Vietnam.